Sensei James Martin has been Sensei at the Calgary Buddhist Temple since 2008. He grew up in Neepawa Manitoba, a small mostly Christian prairie community where he was raised within the United Church tradition. After moving to Calgary in 1979 he helped in the raising of two beautiful daughters and worked in the telecommunications industry. His travels have taken him to many parts of the world but it was a trip to Thailand, Vietnam and Cambodia that introduced him to the Buddhist tradition. Buddhism made an immediate connection and upon returning to Canada he then began attending the Calgary Buddhist Temple, and soon was assisting in several temple activities until eventually becoming a board member. With encouragement and support from Ikuta Sensei, he received Tokudo (ordination) training in Kyoto, Japan in October, 2003. 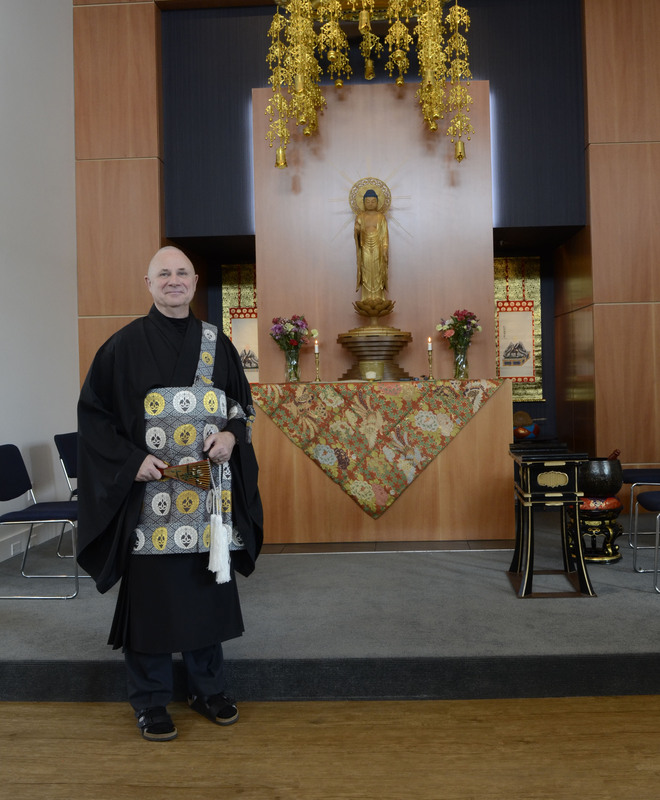 After two years of being a Minister Assistant in Calgary he attended the Institute of Buddhist Studies in Berkeley, California to further his studies of Jodo Shinshu Buddhism. In December, 2007 he was granted Kai-Kyoshi (overseas teacher) status by the mother Temple, Honpa Hongwanji, Kyoto, Japan. Sensei James and his spouse Lena, have 5 grandchildren and enjoy camping and travel to interesting places whenever possible.